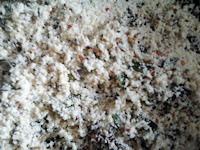 This is a famous Konkani dish. In many houses it is prepared for breakfast during festivals. 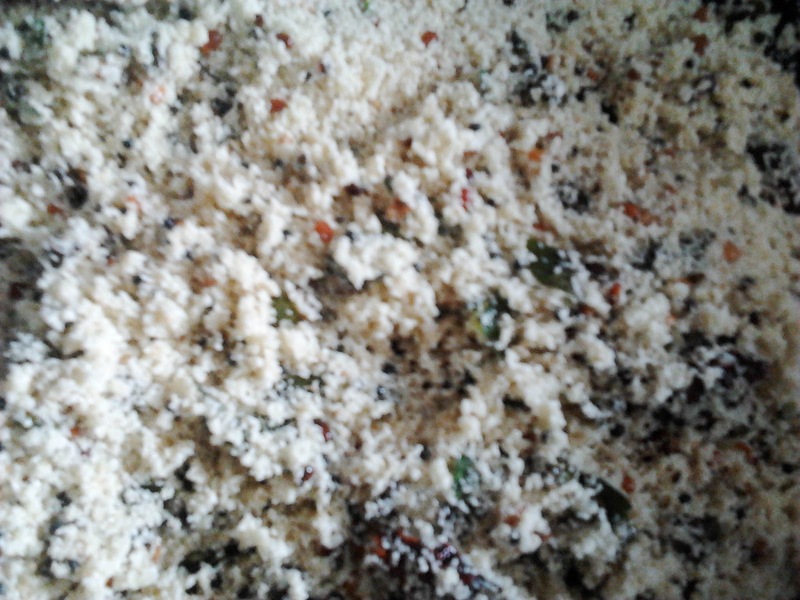 It is little different from Upma or Khara Bath, which involves lots of vegetables and hot spices. This dish is simple and easy to cook. It can be prepared for breakfast or as a evening snack. Usually prepared when guests arrive without prior notice as it takes less time. My dad loves this dish if only prepared by my aunt (Maavu) so while coming to Singapore I borrowed the recipe from her and today I am going to share it with you people. 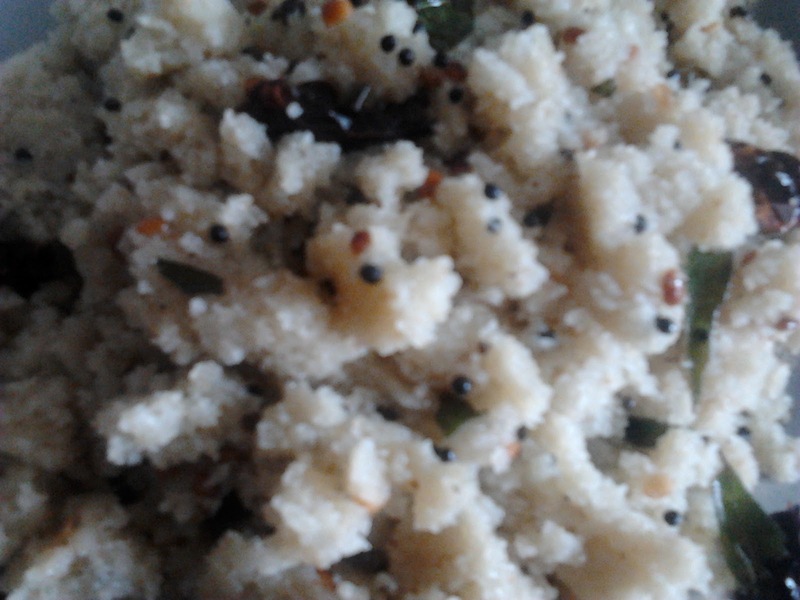 Optional - Can use coconut and cashew nuts for garnishing. Better to use a non-stick pan or heavy bottomed pan. I am using half oil and half ghee. If you want you can use any one. Combination of oil and ghee enhances the taste. Semolina / Rava takes only 5 minutes to cook. 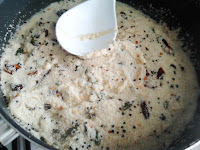 Tear the curry leaves with hands while adding it as that will increase its flavor. Use scissors to cut red chilies directly at the time of adding it by keeping it on top of the pan so that its seeds doesn't spread all over your kitchen. 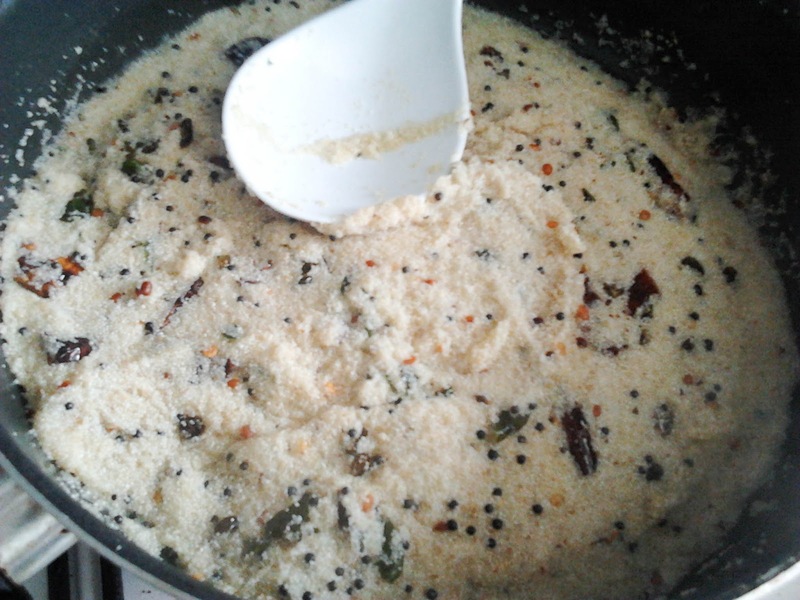 The boiling water is added so that the semolina cooks quickly and does not get sticky if it is not fried properly. 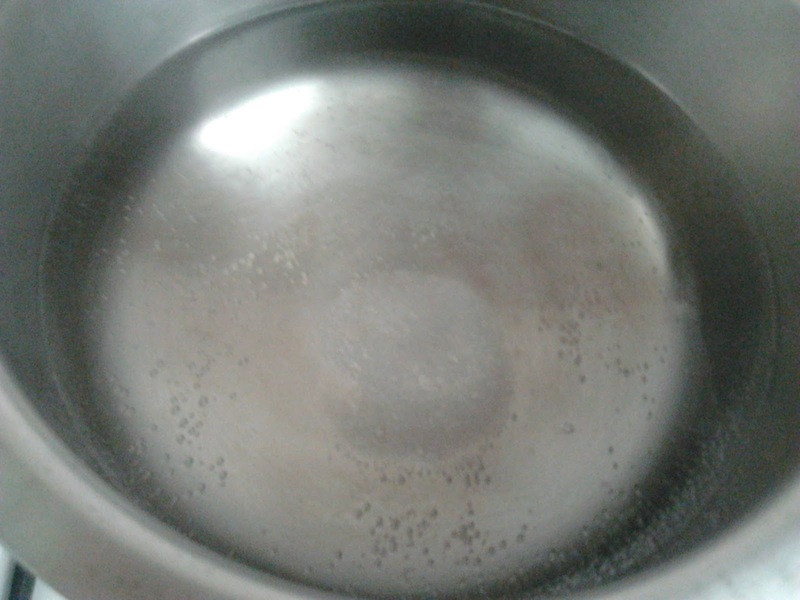 Take a pan, add 2 glasses water to it and salt. Allow it to boil. 2. 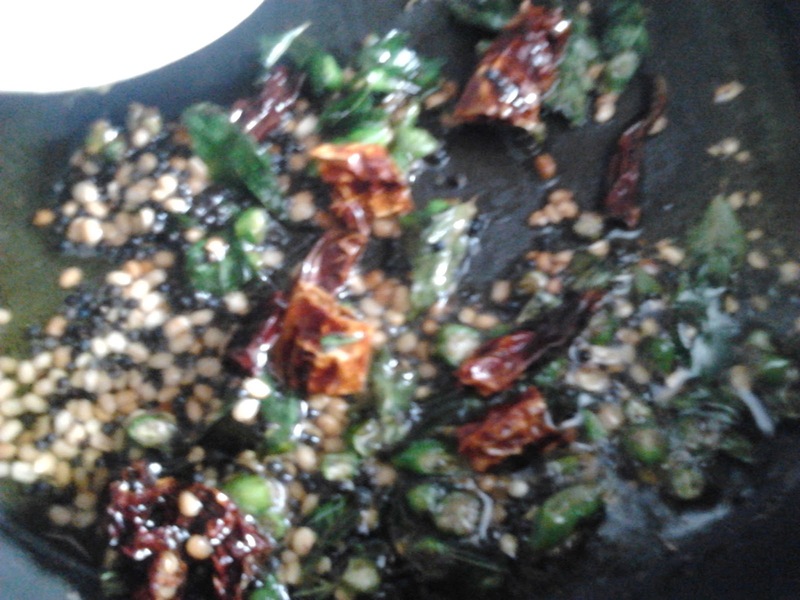 Take another pan, add oil, ghee and split urad dal. Wait until urad dal changes its color to brown. 3. 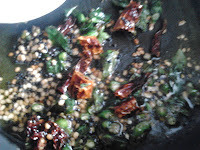 Add mustard seeds, green chilies, red chilies, curry leaves and fry for 2 minutes. 4. Add sugar and semolina now. Stir well and fry on low flame until nutty aroma oozes from semolina and color turns a shade darker. 5. Add 1 + 1/2 cup boiled water to it and stir well. Close lid for 2-3 minutes and wait until all the water evaporates. 6. Switch off the stove and garnish with coconut and fried cashew nuts if needed.